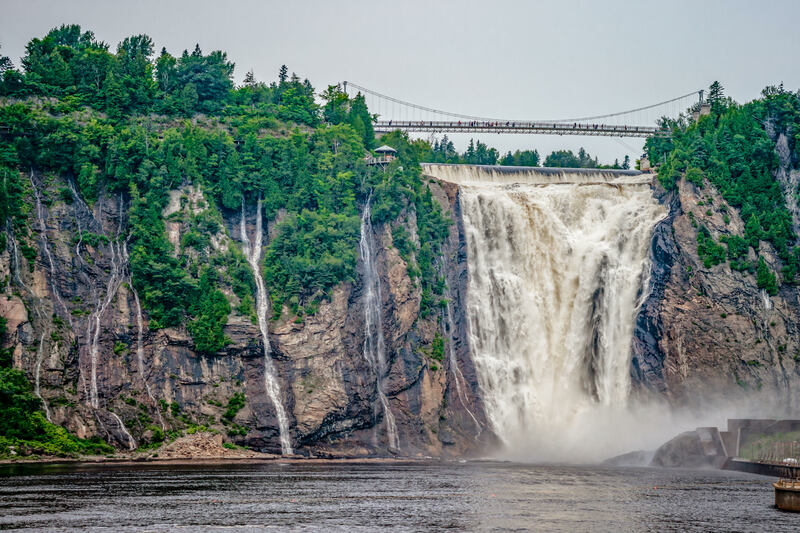 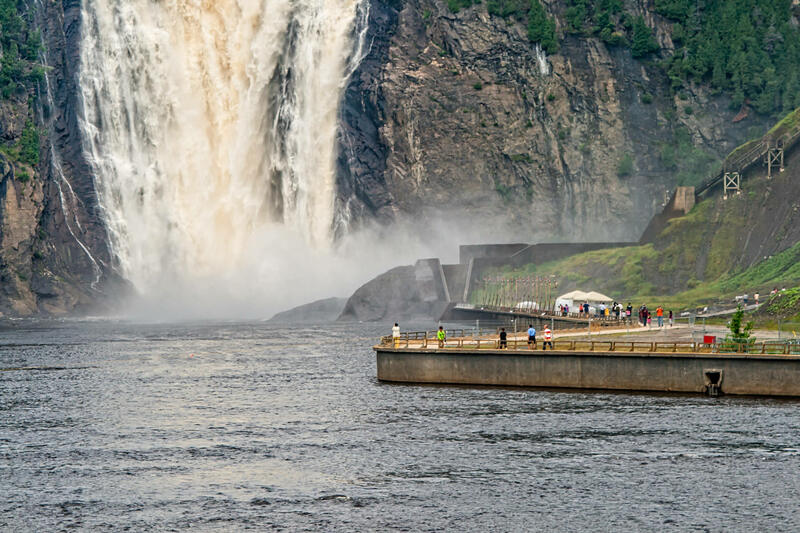 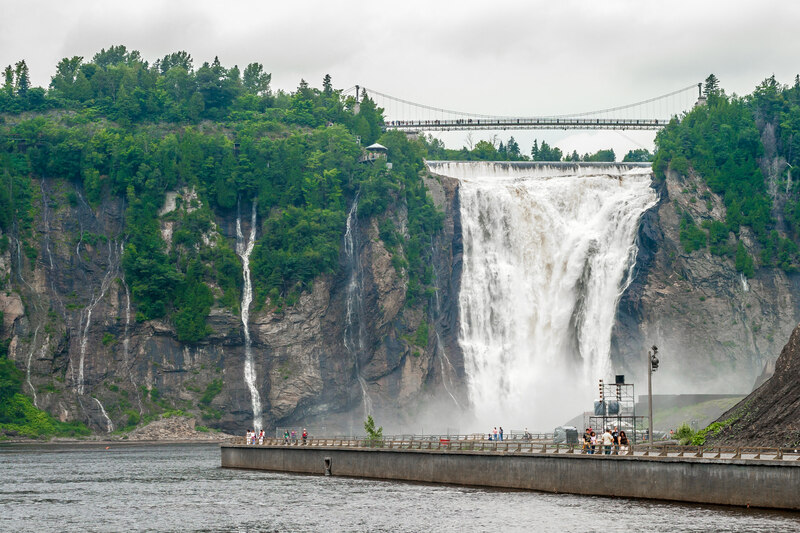 Quebec’s Montmorency Falls drop 275 feet (84 meters) where the Montmorency River meets the Saint Lawrence River near Quebec City. 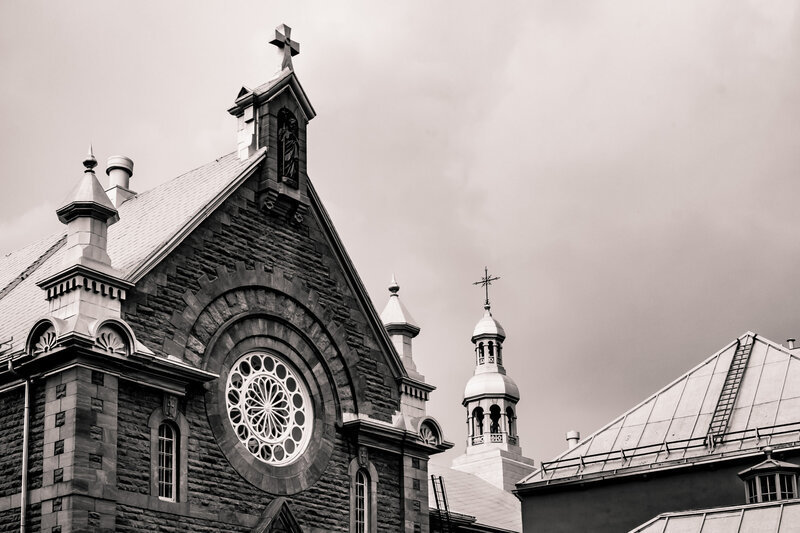 The Sainte-Anne-de-la-Pérade Catholic Church, Sainte-Anne-de-la-Pérade, Québec. 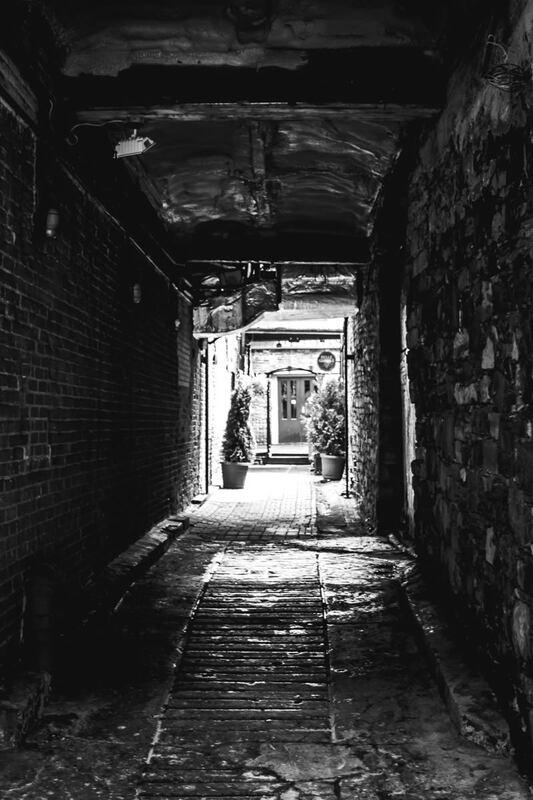 A passageway from the street to a courtyard garden, found in Quebec City, Canada. 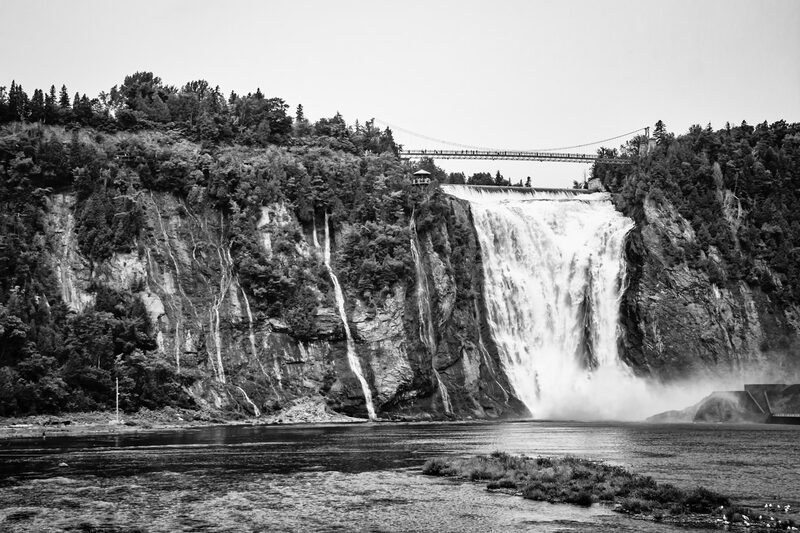 Montmorency Falls near Québec City, Canada. 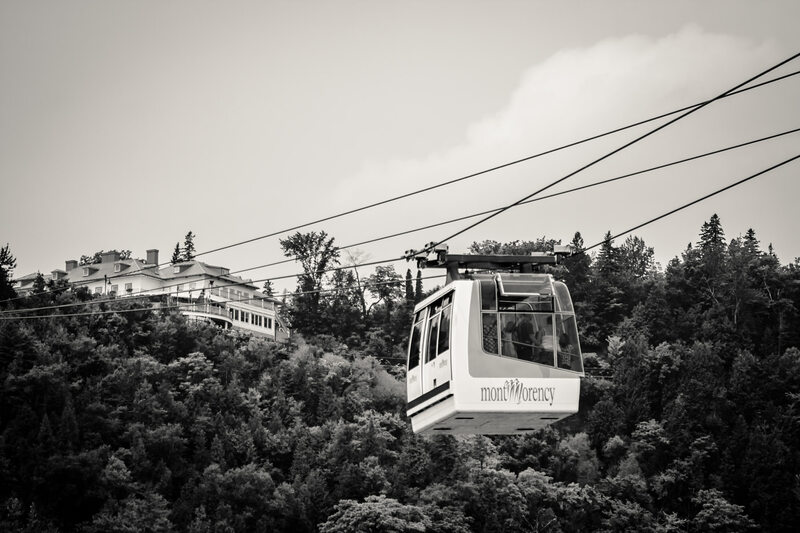 A cable car carries tourists to the top of Québec’s Montmorency Falls. 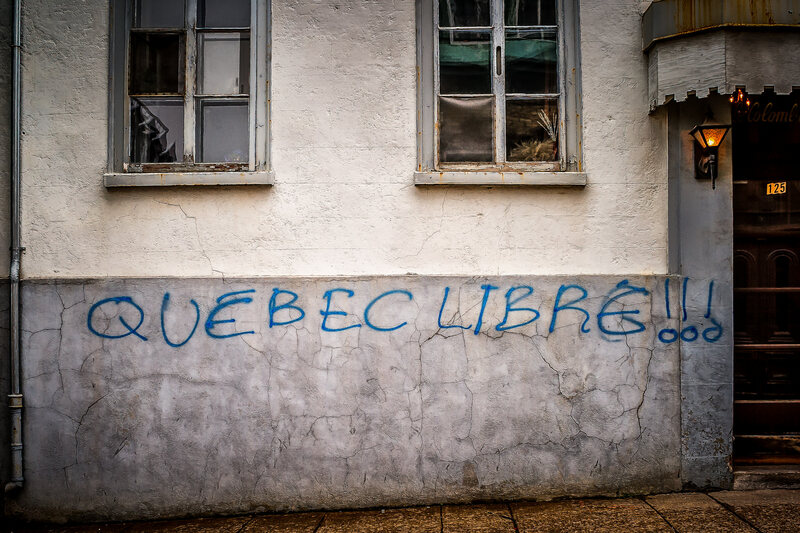 Graffiti in Québec City advocating Québec nationalism. 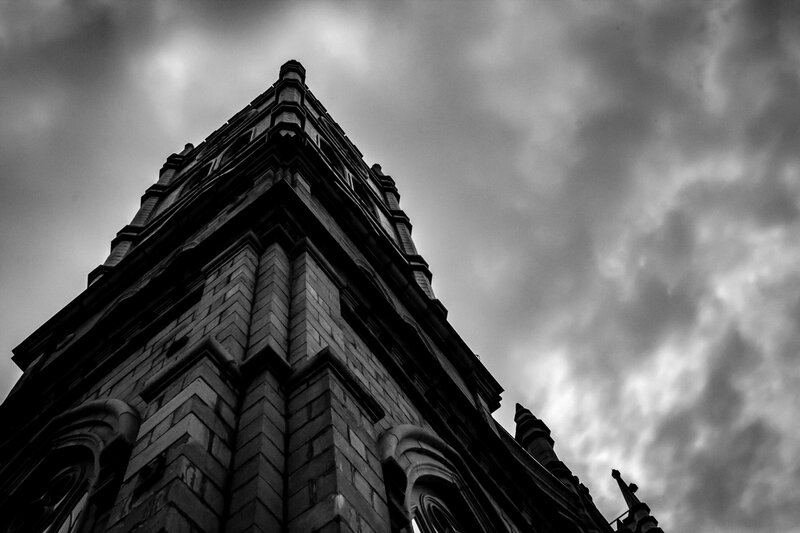 A church rises into the overcast sky in Québec City, Canada.